* the Koni's appeared to have very little compression damping. When going over sharp dips in the road the rear end would drop significantly. Rebound seemed controlled, but I didn't like the dip. * the Konis have gotten really noisy, lots of clattering, etc. Since the Konis have a lifetime warranty, I called the place I bought them from, they confirmed the warranty ... however I have to send the shocks in for repair or replacement. The turnaround time is three weeks max -- yikes! Not wanted to have a car sitting in my driveway for a month with no suspension, I looked around for a set of cheaper shocks, found a lot of positive reviews on the performance of Sensen (mixed reviews on reliability, but positive on performance), so I decided to grab a set and use those as the temp replacements while the Koni's are off being repaired. 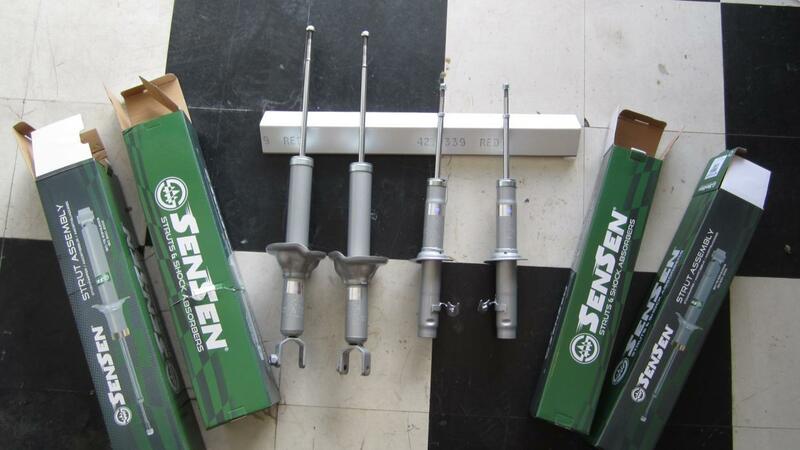 The Sensen cost me a whopping $93 for all four from RockAuto with the 5% discount, no tax or shipping ... hard to beat! That's compared with the great price I got for the STR.T ... $300 for the set. So my thoughts -- if the Sensen feel good enough, maybe I'll just keep those on the car, sell or return the replacement Konis, and I can use the couple hundred saved towards other repair items. * Construction quality on the Koni is better ... you can see from the photos. * Some of the noises are gone -- that's good. * I can feel already these shocks have less damping than the Konis -- with general driving the car isn't quite as stable. 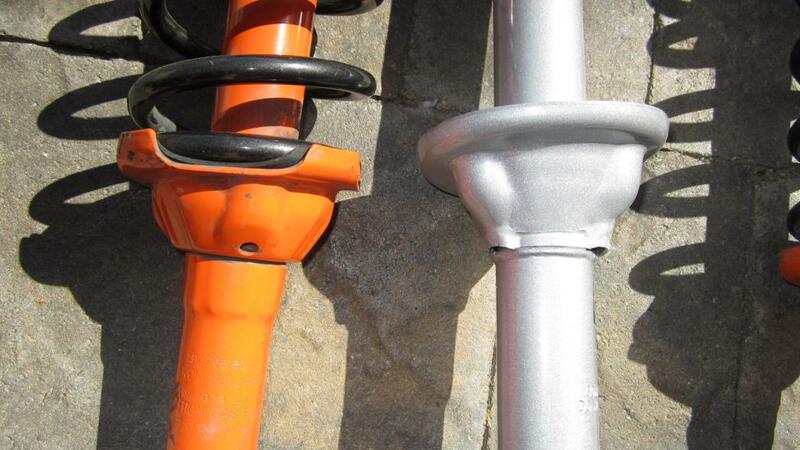 I have to put the rear sway bar back in the car though to give it a good comparison. But when the car is parked, if I push down on the rear of the trunk opening to bounce the car, I can feel it's just a little less damped than the Koni. * However on the road, compression damping feels better. The rear doesn't dip as much as it did with the Konis. Again this could be due to Konis being shot ... I'll have to reserve final judgement on that until I have more driving time. Next up, I'm going to swap out the fronts. Last edited by jkowtko; 02-28-2015 at 06:46 PM. After a short amount of driving, I can definitely feel the difference ... the Koni STR.T is a noticeably stiffer shock than the Sensen. With the Sensen the car waddles a bit now, and a bit loose over uneven roads ... I can feel the overshoot. The Koni had none of this. Remember this is with Eibach Pro Kit springs, at least 2x stiffer than stock. So I think my problem with the Konis is that the rear lost their gas pressure that affected their compression damping. I will be sending the Konis in later this week for replacements under the lifetime warranty. I'm sending in all four so they can make sure the fronts aren't going either. The STR.Ts are pretty decent shocks. But 2 years seems to be about when a lot of the lower end "performance" shocks seem to start giving up. But you can't beat Koni's lifetime warranty. and spending less than $100 on a interim replacement isn't bad either. When you get the Koni's back I'm sure you'll be able to sell the Sensen's for what you paid lol. And yes, the STR.Ts are definitely stiffer. The Sensen are most likely OEM replacements, so really aren't that stiff. STR.Ts tend to be around 15% stiffer than stock or thereabouts. They are basically Yellows on full soft damping. I wouldn't wast your time with Tokico Blues....they only offer a 10%ish increase in damping, and are not meant to be paired with lowering springs, unlike the STR.Ts. If you ever feel the need to get better shocks, go with Koni Yellows. Hands down the best shock you can get for the money for our Accords. Do you have a comparison of Illuminas vs Koni Yellow? I understand the Illuminas has adjustable compression damping whereas the Koni does not. I do not. From what I have read though, the Koni's single adjustable design is actually superior to the dual adjustable of other brands. Here's some good info on why. The point of adjustable dampers is to allow you to adjust how the chassis (the sprung weight) responds to inputs (from the driver or the surface) that make it transition. If all the shock needed to do was damp the spring and keep the car from floating like a boat we'd all be running $19.99 shocks from Autozone rather than highly specialized adjustable dampers on our performance cars. 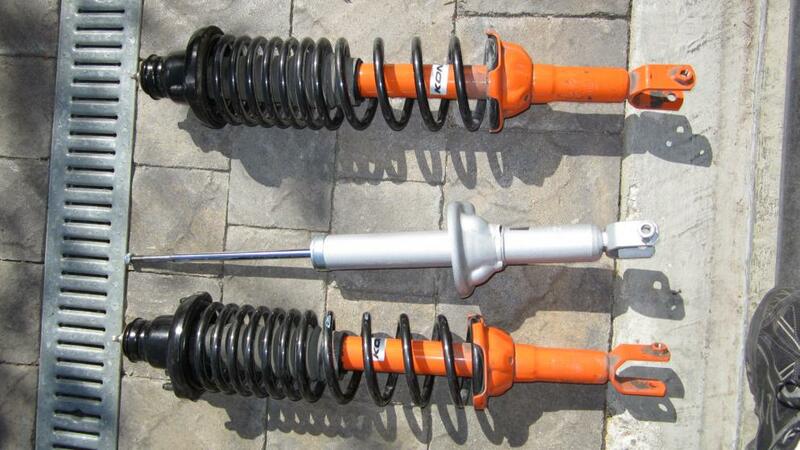 Yes shocks damp spring oscillations, but what they really do is allow you to tune the chassis. A damper needs tremendously more rebound damping than bump (compression) damping. The reason is simple. In rebound the damper must control the entire sprung weight of the car because that's the part trying to heave around. In compression the damper merely needs to control the unsprung portion of the suspension. Why do Koni yellows only have rebound adjustment? Because the rebound is what controls the chassis and therefore has by far the largest influence on handling. The problem is that shocks which change both compression and rebound at once (the Tokico for instance) adjust both the compression and rebound at the same time so the ratio between the two is fixed. In this case you can't get more rebound without also getting more compression. Once the compression is right you really don't need to monkey with it because all the compression does is control the unsprung weight of the car, what we'd really like to do is adjust rebound so we can tailor the way the chassis acts to a given track or driver. Too much compression causes the tire to patter and bounce over bumps. Our unsprung weight doesn't ever change but we want to be able to adjust how our sprung weight reacts to transition and this demands adjustable rebound damping. Unfortunately a shock that changed both at once forces us to be stuck with more compression we don't want or need when all we want is more rebound. The Koni on the other hand even though its compression damping is fixed allows us to adjust the ratio of compression vs rebound. The Koni does not force you to live with the compromise of shocks which adjust both at the same time but they have to spend more money to give it to you. I wouldn't call it superior ... it's a different approach, and the marketing blurb you quoted is their competitive positioning. Do you know if Koni distinguishes between compression and extension initial actions? If you encounter a mound or bump in the road, the initial action will be a compression, But if you encounter a dip in the road, that's extension. The "rebound" would be the reverse action required to bring the suspension back to its at-rest position. 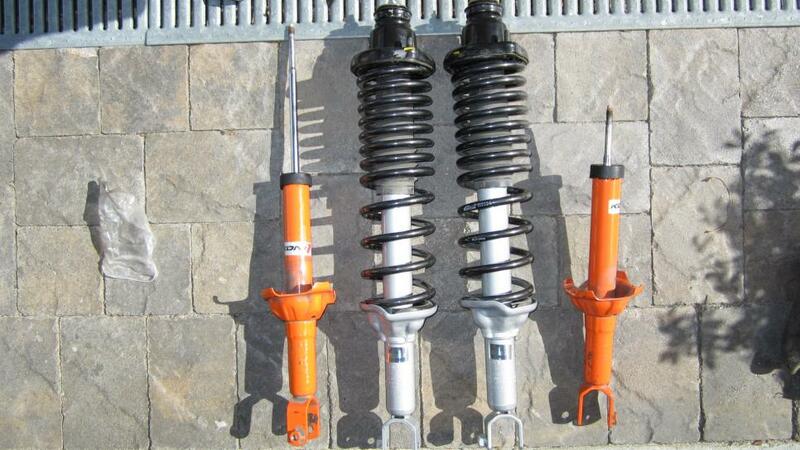 If Koni doesn't distinguish between the two, then when you encounter a dip in the road, then when the car reaches the bottom of the dip and the suspension compresses back, the Koni will not dampen well. Is that what you want? From my experience with the STR.T on the Honda, it's a wierd sensation and it feels like the suspension is underdamped. Even with the Sensen shocks I don't feel that. And the Bilsteins on my Mercedes are awesome in this regard ... the car sticks to the road like glue over these freeway dips and mounds ... nice and firm the entire way. 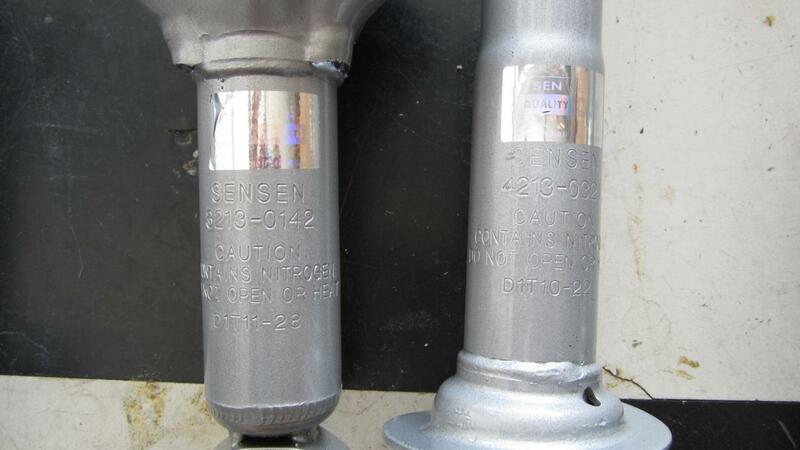 As for adjustable shock strategy, I would think the shocks that adjust both compression and extension together are designed to accomodate different spring rates, and they would argue that, since the suspension moves in both directions, you can't favor one direction over the other, you have to handle them both. Well, that's my two cents. I'm not a shock designer, but I am a mechanical engineer, so I know how control systems are supposed to work. This is definitely an interesting component of the car.